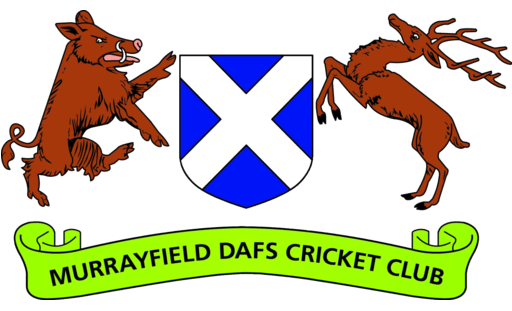 Murrayfield Dafs cricket Club is committed to maintaining the highest standards of conduct and behaviour on and off the pitch. This code of conduct incorporates the “Spirit of Cricket” document issued by the ECB and applies to all matches and activities arranged by the club. The club will ensure that all players, team officials and members are aware of the Code of Conduct and are bound by its terms when playing for and/or representing the club in any capacity. The club operates an “open door” membership policy respecting player qualification regulations as set by the appropriate governing bodies and welcomes all players and members irrespective of ethnic origin. 1: The captains are responsible at all times for ensuring that play is conducted within the “Spirit of Cricket” and the laws of the game. 2: Players, members and team officials must at all times respect the umpire’s decision. Players must not show dissent at the umpire’s decision or act in a provocative or disapproving manner towards an umpire at any time. 3: Players, members and team officials shall not intimidate, assault or attempt to intimidate or assault an umpire, another player, spectator or guest of the club. 4: Players, members and team officials shall not use crude and/or abusive or offensive language nor make offensive gestures or hand signals nor deliberately distract an opponent. 5: Players, members and team officials shall not make racially abusive comments nor indulge in racially abusive actions against fellow players, opponents, officials or members or guests. 6: Players, members and team officials must respect their team mates at all times and shall not act in a provocative or abusive manner towards them at any time. 8: Members and players will ensure that visiting teams are made to feel welcome. 9: Members and players will accept victory or defeat with dignity and grace. 10: Players, members, team officials and guests shall not use nor in any way be involved in the use of or distribution of illegal drugs. B: For Junior Members and Players. Murrayfield Dafs CC is committed to safeguarding and promoting the well-being of its junior members and it is important that all members, coaches, administrators, parents, carers or guardians associated with the club should at all times show respect for and understanding of the safety and welfare of others. Any concerns or complaints about issues relating to the junior section of the club should be raised with Philip Yelland, the club Child Protection Officer in the first instance. 2: Members and players must play within the rules and respect the decisions of officials including, ground staff, players and officials of your own club and the opposing teams. 3: Members and players must respect the rights, dignity and worth of all participants irrespective of gender, ability or cultural background. 4: Members and players should attend at the requested time for matches and training and if they are going to be late should advise the coach. 5: Members and players are not allowed to smoke or consume alcohol whilst representing the club at any event. 6: Members and players will co-operate with coaches, team mates and opponents. 7: Members and players will ensure that visiting teams are made to feel welcome. 8: Members and players will accept victory or defeat with dignity and grace. 9: Members and players shall not intimidate, assault or attempt to intimidate or assault an umpire, another player, spectator or guest of the club. 10: Members and players shall not use crude and/or abusive or offensive language nor make offensive gestures or hand signals nor deliberately distract an opponent.